Located on the Canadian side of the International Bridge that spans the St. Mary’s River in Sault Ste. Marie, Ontario, across from Michigan in the U.S., the company explained that its strategy was to find people or businesses that have access to the groups they were targeting, and getting them to introduce Sault Ste. Marie’s duty free business to their network. The store used different facets of its business to target specific groups that would be beneficial to its business, including sportsmen, tourists, beer drinkers, and race car enthusiasts. Sault Ste. Marie DF created specific promotions to attract each of these groups. Its location in Northern Ontario is home to some of the best fishing and hunting areas in North America, so Sault Ste. Marie Duty Free created a contest with popular resort Watson’s Windy Point Lodge on Lake Kabinakagami to award a three day fly-in fishing trip. The goal of the contest was to get Americans and Canadians leaving Canada to stop in the store. Sault Ste. 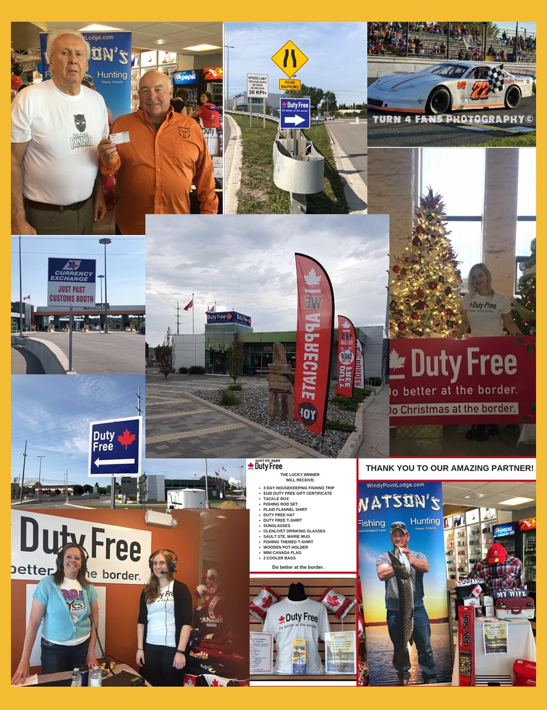 Marie Duty Free used its Currency Exchange Kiosk where people stop when entering Canada to hand out Watson’s Windy Point Lodge brochures and contest ballots. Visitors needed to visit the Sault Ste. Marie Duty Free Store in order to enter the contest. The Lodge distributed information flyers about shopping duty free and special promotions, as well as ballots. Both the Lodge and the store promoted the contest on their Facebook page and through word of mouth. Sault Ste. Marie also used in- store merchandising to promote the contest and did a live broadcast on Facebook and radio on the day of the contest draw. “Together with Watson’s Windy Point Lodge we built a powerful partner relationship that increased revenue and built up our customer base for each other. “We plan on continuing and expanding our partnership with Watson’s Windy Point Lodge with even bigger plans for next year,” notes the company. Sault Ste. Marie is also known as the “King of Canada” for beer consumption. The store partnered with Labatts this summer, and tapped into “the magic of Face-book marketing” to offer amazing beer specials to customers. Its beer sales boomed. “We utilized Facebook as well as inside and outside signage pro-vided by Labatts to offer an amazing 5-case beer special, at a can’t resist price on holiday week-ends. In the last year alone beer sales have doubled by expanding our network of followers on Facebook who share our beer posts as well as customers who have seen our advertising signage,” said the company. Sault Ste. Marie also teamed up with other suppliers such as PMA and Wine Classics for Facebook and in store contests, and success-fully expanded its network of potential customers. It also used Facebook to raise public awareness that “Yes, You can shop duty Free,” and partnered with a local “oldies” radio station to plug its 45-second Duty Free jingle. The radio clip promoted the huge savings at the store and that travelers can shop duty free on the way to the United States, which is played right before the weather broadcast. The broad-cast covers a 75-100 km radius that also reaches the U.S. Car racing is also a popular event in the Sault Ste. Marie area. The store partnered with the race car track on the U.S side of the border and a local 14-year old driver to target U.S and Canadian car enthusiasts. They promoted the store through program ads, t-shirts and its logo on the car they sponsored; and donated gift baskets for draws held at the track on race days. “Our car even won a few races! 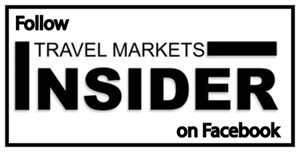 Although it is difficult to measure its impact on sales, we received great exposure for our duty free store and customers who stopped in would comment that they heard about us at the track,” said the company. By teaming up with other local businesses throughout year, Sault Ste. Marie broadened the scope and purpose of its marketing strategy, as well as creating thriving new business partnerships. The store will continue to identify specific target audiences and use Partnership Marketing to reach them with uniquely tailored programs.